While suicide is still taboo, many people seem to think that under certain circumstances you ought to be legally permitted to actively end your life, writes Bishop Tim Harris. Source: The Catholic Leader. So-called voluntary assisted dying is now legal in the state of Victoria. It is also the subject of a Parliamentary Inquiry in Queensland. Queenslanders are rightly horrified by high levels of suicide in our state – the second highest in Australia according to the Australian Bureau of Statistics. What puzzles me is why, at the same time, some Queenslanders want to endorse suicide for some people. Some advocates of voluntary assisted dying want to avoid terms like physician-assisted suicide because, they argue, such terms already imply moral judgements. Yet, in making such arguments, such advocates seem implicitly to think that suicide is morally wrong, or at least tragic, which is why they do not want that connotation to be brought to voluntary assisted dying. Instead, and I am being careful to use morally neutral language here, they want killing yourself, or asking others to kill you, in certain circumstances, to be considered desirable and morally acceptable, unlike killing yourself in all other circumstances. And more than that, they want this supposed moral acceptability enshrined in law. If we, as Queenslanders, are rightly concerned about high rates of suicide in our state, then surely we should also be concerned about claims that some circumstances make suicide legitimate? If such circumstances exist, then surely, if we are consistent, our first concern, as it is with all cases of suicide, is to work out what we can do to help a person live whatever life they have in a meaningful way? The parliamentary inquiry in Queensland includes aged care, and palliative and end of life care. Queenslanders are rightly concerned about shortfalls in our capacity as a society to care properly for an aging population in ways that help them and those around them continue to live meaningful and flourishing lives. Similarly, we are rightly concerned about failings in our capacity as a society to properly alleviate the physical and existential suffering of those living with life-limiting conditions. The suggestion that voluntary assisted dying should be legalised seems to be radically inconsistent with these legitimate concerns. It would be all the more concerning if this were seen as a solution to the problems of our failings as a society to properly care for others. 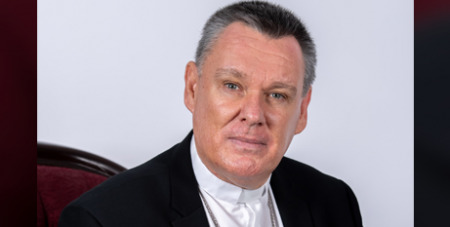 – Bishop Tim Harris is the Bishop of Townsville and a member of the Australian Catholic Bishops Commission for Life, Family and Public Engagement.